THE LAW PLAYS an unacknowledged role in much of Shakespeare’s work. Trials—real trials, quasi-trials, mock trials—recur. In many plays, characters refer to contemporary laws and legal institutions; and the plays raise larger questions about justice and the workings of the law. 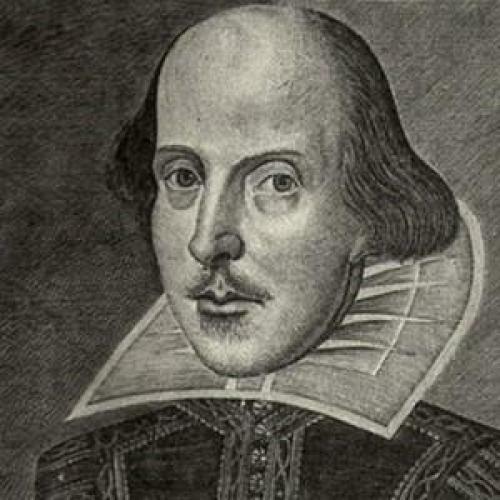 Lawyers, then, can help to illuminate Shakespeare’s plays, and many have done so by explaining the early modern legal background and Shakespeare’s exploitation of persistent legal puzzles for dramatic purposes. Kenji Yoshino, a law professor at NYU, argues that Shakespeare’s plays contribute to modern debates about law and justice, and he draws crisp lessons from twelve of those plays. He argues that Titus Andronicus teaches us that in a world devoid of the rule of law, individuals protect their interests by taking revenge against those who violate them—and that revenge begets revenge in a cycle of retribution that spins out of control and throws society into chaos. Portia’s character in The Merchant of Venice illustrates the hazards of legal rhetoric: lawyers can manipulate law for private ends, subverting justice and social order. Measure for Measure proves that legal decisionmakers should avoid the two extremes of rigid legalism and excessive mercy, and strive to take a path down the middle. Othello illustrates the hazards of legal fact-finding; the four Henry plays the fallibility and the trickery of sovereigns; and Macbeth the fallacy of natural justice—the view that justice will prevail even without human intervention. Hamlet warns that intellectuals make bad rulers because their idealism interferes with the pragmatics of governance. King Lear teaches us of “the unavoidable injustice of death.” The Tempest argues that great leaders voluntarily relinquish power. The quality of Yoshino’s readings varies considerably. In general, he does better at the retail level—teasing out the meanings of complex passages—than at spinning out overall readings that are both original and persuasive. Scholars have long noted that anxiety about the absence of the rule of law animates revenge tragedies such as Titus Andronicus, and the legal themes in Measure for Measure have fascinated lawyers for decades. Some of Yoshino’s other readings display more originality but they often seem strained. It is true that Hamlet is an intellectual and that he temporizes before killing Claudius, but he does not resemble the utopians to whom Yoshino likens him—he does not, for example, harbor any particular vision for Denmark that he hopes to implement come what may. More successfully, Yoshino argues that Othello illustrates the value of legal processes by contrasting the impartial deliberations of a jury-like council of Venetian nobles, which acquits Othello of the charge of witchcraft, and the wild accusations of Othello himself, who falsely convicts Desdemona of adultery. But there is no reason to single out Macbeth as the play that illustrates the fallacy of natural justice. Yoshino claims that Macbeth suggests that wrongdoers will receive their comeuppance from “nature” in the absence of human agency, a view that Yoshino thinks produces complacency about the need for human institutions of justice. But it takes human beings to punish Macbeth—it is not as though he is struck by lightning. Yoshino makes too much of the fact that Macbeth is tortured by his conscience, and too little of the ways in which “nature” (personified by the witches) both contributes and responds to the evil actions of the characters. The play does suggest that not all murderers will escape the torments of conscience, but a play littered with the corpses of innocents hardly “conveys a profoundly comforting message” that all will be right in the end. Yoshino loves Shakespeare, but he resists the temptation to treat the playwright as an oracle. That is certainly wise: we moderns can hardly treat as an infallible authority someone who believed in monarchy and accepted as natural a hierarchical social system of aristocrats and commoners. Shakespeare certainly toyed with gender stereotypes, but his plays comfortably accept a social order characterized by female subordination. It is natural, then, that Yoshino not only interprets Shakespeare but also criticizes some of the attitudes that come across in his plays. Yet this type of criticism, while necessary, is tricky; and in Yoshino’s hands too often Shakespeare’s work becomes a bag of anecdotes to illustrate moral platitudes. Yoshino argues that Prospero is a great man because he voluntarily relinquishes power like George Washington. Henry V manipulates public opinion in order to maintain power, which yes is troubling. Portia is a dangerous woman because she manipulates legal rhetoric in order to advance her aims, in the process subverting the spirit of the law. Othello suggests that an impartial jury will more likely discover the facts than individuals, tormented by jealousy and humiliation, acting on their own. Do we really need Shakespeare to understand these truths? The danger is that in laboring over these limited implications, one loses sight of the plays themselves. No one likes legalism, but Portia is clearly a heroine, immensely more appealing than any of the other characters in the Merchant of Venice. She manipulates legal language, but mostly for the ends of justice: no one believes that Shylock ought to get his pound of flesh. The plot turns on what is essentially a pun, a caricature of legal reasoning. No one in the audience can take seriously Portia’s argument, let alone perceive in it a threat to social order or contrariwise be gulled into thinking that legalistic rhetoric that deliberately misperceives the intentions behind words offers a solution to real problems. Portia illustrates the hazards of lawyerly rhetoric in the way that Falstaff illustrates the hazards of overeating. In the weakest sections of his book, Yoshino applies his ideas about the plays to current events. He does so by ignoring the moral ambiguity of the plays, and in this way dishonoring them. In Yoshino’s hands, Portia offers a model for Bill Clinton’s famously legalistic defense of his perjury in the Lewinsky affair: “it depends on what the meaning of the word ‘is’ is.” But Clinton’s argument, unlike Portia’s, fell flat. He convinced no one that he obeyed the law of perjury—the difference between the real world, where legalistic argument can be identified as such and rejected, and the closed world of Shakespeare’s story, where a play on words dissolves the dramatic tension. Measure for Measure somehow supports President Obama’s comment that judges should be “empathetic.” Obama was struggling to find a code word for liberal constitutional jurisprudence, which he could use to oppose the Republican mantra of “strict constructionism”; and nothing in Shakespeare’s play illuminates the complex debates about judicial review of democratically enacted legislation, a phenomenon that lay centuries in the future. Titus Andronicus, a play in which the title character bakes his adversary’s children in a pie and feeds it to her, turns out to be a parable of the Bush administration. Since Titus acted from revenge, Bush’s invasions of Afghanistan and Iraq had to be animated by revenge as well—and not just against Al Qaeda but against Muslims generally—a tendentious interpretation of events that Yoshino hardly bothers to defend. Yoshino revels in the complexity of human motivation and the subtlety of moral choice when he discusses fictional characters, but he does not extend the courtesy to real people. Mercifully, Yoshino’s discussions of the present occupy only a few pages and will not spoil the book for those who care about Shakespeare and seek a guide to the legal themes in his body of work. Although Yoshino fails at his self-described goal of illuminating current events with the help of the Bard, one will enjoy following a sensitive and lively mind work its way through the legal themes in some of the most beautiful passages in English literature. Eric A. Posner is a professor of law at the University of Chicago.